Join us for an Irish adventure as we set off for a magical break on the Emerald Isle! Wander the winding medieval streets of Galway, wander the banks of the River Shannon and experience the delightful west coast. Not forgetting plenty of Irish craic – all in one terrific holiday! 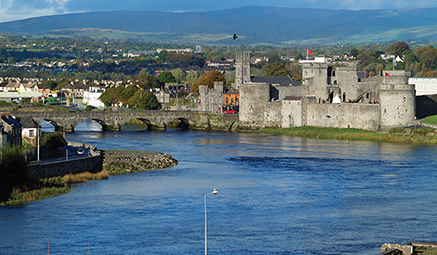 Limerick - Full Day - the capital of Ireland’s Mid-West, situated on the shimmering River Shannon. Conquered by the Vikings in the 9th century, this bustling historic city has a rich medieval past, which resounds around its ancient streets. Take a cruise on the River Shannon (at your own expense) or simply wander round the medieval streets. 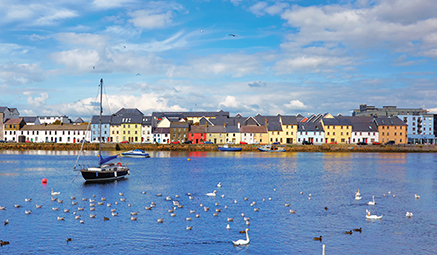 Galway - Full Day - discover Ireland's ‘Cultural Heart’ in this charming river city. Wander the medieval cobblestones marvelling at the quaint old houses turned thriving independent businesses. Have a look at the gorgeously Gothic Lynch’s Castle (at your own expense) or sit and people watch at the bustling Eyre Square. Marvel at the Spanish Arch and exquisite Augustinian Church. Lisdoonvarna – Free Day – explore this colourful spa town, known the world over for its famous matchmaking festival. Take a wander around the Burren Smokehouse Visitors Centre (at your own expense), or why not visit the famous Victorian Spa Complex – the only active spa centre in Ireland.